British Toxicology Society (BTS) and the UK Environmental Mutagen Society Annual Congress “Celebrating 40 years of the BTS” will be held at Robinson College, University of Cambridge between 15th -17th of April. Professor Ruth Roberts, Dr Richard Knight, Dr Guy Healing and Phumzile Sikakana will all be attending. Ruth will be presented with an Honorary Fellowship of the BTS in recognition of distinguished contributions to Toxicology. The three-day programme is packed with numerous sessions covering all aspects of toxicology for the Toxicologist, Safety Scientist, and Healthcare Professional. 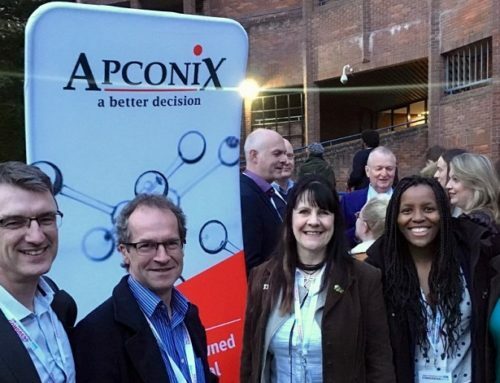 The conference brings together individuals from academia, industry, the NHS, regulatory science, and governmental agencies with a shared interest, enthusiasm and passion for the science and practice of toxicology. It offers a great opportunity to meet and network with colleagues, industry representatives, and peers across the spectrum of experience and interests within the field. Topics of particular interest include the plenary lecture from Dr Stefan Platz (AstraZeneca) on ‘Impact of Artificial Intelligence in Understanding Toxicological Insights’ and symposia on ‘Developmental Toxicology: New paradigms’ and on ‘Oncology Combinations & DNA Damage Response’ Ruth is also co-chairing a workshop entitled ‘Toxicology education in UK – Future Scope?’ that will discuss how we collaborate across industry and academic to address the shortage of trained toxicologists. “As a regular participant in BTS meetings since 1992, I am very much looking forward to some excellent science and to catching up with my colleagues and friends in the BTS’’ added Ruth.